In India, suicides are a well-known, if unwelcome, phenomenon. The worst of it happens in the rural parts of the country, where a 2011 census revealed that the suicide rate for farmers was 47 percent higher than the national average. 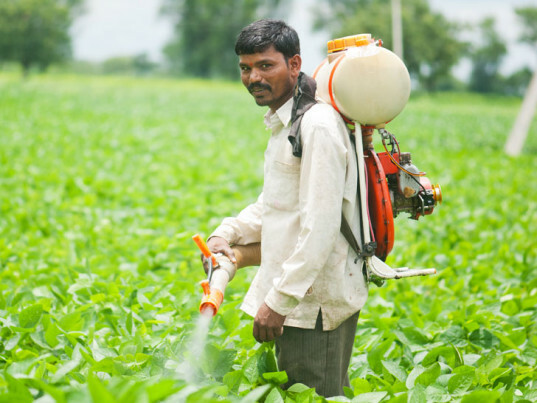 In the agricultural states of Bengal, Maharashtra, and Uttar Pradesh, it’s estimated that a farmer takes his life every 30 minutes, usually by hanging, drowning, or ingesting pesticides. Vandana Shiva, one of India’s leading environmental activists, deems the suicides a kind of “genocide” that has resulted in the deaths of more than 300,000 farmers—overwhelmingly of whom are men—since 1995, the first year the Indian government began keeping formal records. She places much of the blame on Monsanto, the multinational corporation behind Bt Cotton, a breed of genetically modified cotton that contains insecticidal toxins from the Bacillus thuringiensis bacterium. Monsanto’s essential monopoly over India’s cotton sector, its exorbitant royalties, and the proprietary rights that forbid farmers from saving or selling seeds, are among the reasons why so many of the suicides occur in the cotton belt, Shiva says. Others blame the ruling Bharatiya Janata Party for its “pro-industrialist and anti-farmer” policies. 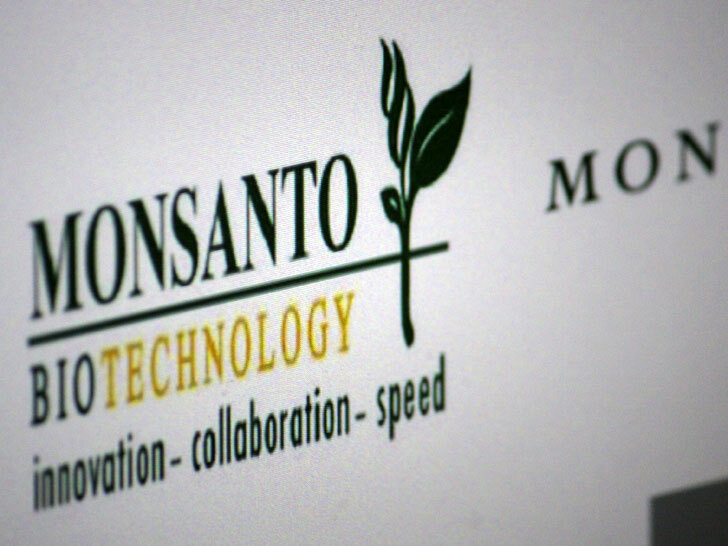 Monsanto’s complicity—or lack thereof—aside, the suicide rate among India’s agrarian workers shows no sign of abating. That’s downright alarming. Earlier this month, the country’s national crime records bureau reported that 5,650 farmers committed suicide in 2014, citing family problems, crop failure, or indebtedness or bankruptcy due to crop loans as the main reasons given. Activists say, however, that actual figures could be much higher, since official statistics take only into account landowners and not agricultural laborers. “Hundreds of farm laborers die every year in this region, but these cases do not figure in NCRB records,” Kishore Tiwari, leader of the farmers’ advocacy group, Vidarbha Jan Andolan Samiti of Nagpur, told the Times of India. Officially, 2014’s numbers are an improvement on 2013, when 11,772 farmers committed suicide across India, or an average of 44 per day. India’s Business Standard, on the other hand, suggests a 2014 figure that’s closer to 12,360, which would mean a 5 percent increase over the previous year. GMO and its associated lethal pesticides and herbicides are dangerous poisons. Eating genetically modified corn (GM corn) and consuming trace levels of Monsanto's Roundup chemical fertilizer caused rats to develop horrifying tumors, widespread organ damage, and premature death. rats exposed to even the smallest amounts, "developed mammary tumors and severe liver and kidney damage as early as four months in males, and seven months for females." The animals on the GM diet suffered mammary tumors, as well as severe liver and kidney damage. Everywhere GMO is being grown, food allergies, disorders such as autism, reproductive disorders, digestive problems, and others have been skyrocketing in the human populations. There has been a drastic decline of crop-pollinating insects all over the world, and what this means for the future of the world's food supply. Wild pollinators like bumblebees, butterflies, and beetles are basically disappearing. GMO industrial agricultural practices are causing this insect genocide. Pollinating insects in general, which include a wide range of insects and other animals, are simply vanishing from their normal habitats and foraging areas. That lower diversity and lower abundance of wild insects means less fruits and destruction of the diversity of plants and their fruits worldwide. GMOs cross pollinate and their seeds can travel. It is impossible to fully clean up our contaminated gene pool. Self-propagating GMO pollution will outlast the effects of global warming and nuclear waste. The potential impact is huge, threatening the health of future generations. GMO contamination has also caused economic losses for organic and non-GMO farmers who often struggle to keep their crops pure. GMOs increase herbicide use. Most GM crops are engineered to be "herbicide tolerant"?surviving deadly weed killers. Monsanto, for example, sells Roundup Ready crops, designed to survive applications of their Roundup herbicide. Between 1996 and 2008, US farmers sprayed an extra 383 million pounds of herbicide on GMOs. Overuse of Roundup results in "superweeds," resistant to the herbicide. This is causing farmers to use even more toxic herbicides every year. Not only does this create environmental harm, GM foods contain higher residues of toxic herbicides. Roundup, for example, is linked with sterility, hormone disruption, birth defects, and cancer. GM crops and their associated herbicides can harm birds, insects, amphibians, marine ecosystems, and soil organisms. They reduce bio-diversity, pollute water resources, and are unsustainable. For example, GM crops are eliminating habitat for monarch butterflies, whose populations are down 50% in the US. Roundup herbicide has been shown to cause birth defects in amphibians, embryonic deaths and endocrine disruptions, and organ damage in animals even at very low doses. GM canola has been found growing wild in North Dakota and California, threatening to pass on its herbicide tolerant genes on to weeds. By mixing genes from totally unrelated species, genetic engineering unleashes a host of unpredictable side effects. Moreover, irrespective of the type of genes that are inserted, the very process of creating a GM plant can result in massive collateral damage that produces new toxins, allergens, carcinogens, and nutritional deficiencies. GMOs do NOT increase yields, and work against feeding a hungry world. Whereas sustainable non-GMO agricultural methods used in developing countries have conclusively resulted in yield increases of 79% and higher, GMOs do not, on average, increase yields at all. This was evident in the Union of Concerned Scientists' 2009 report Failure to Yield?the definitive study to date on GM crops and yield. The toxins associated with GMO should never be tolerated. NEONICOTINOID PESTICIDE neurotoxins are absolutely the main factor causing the collapse of bee and pollinator populations along with other lethal chemicals, Agent Orange herbicides, glysophate, etc. When these poisons are banned as they were in Europe the bee populations start to recover. GMO neonicotinoids, roundup etc. MUST BE BANNED OUTRIGHT and all the farmers along with USDA, Biotech and chemical companies told to cease and desist from what they are doing. An even scarier prospect: the "BT" version of GMO soybeans and corn, (basically pesticides engineered directly into the plant ) The "BT toxin" gene is put into the DNA of the corn in order for it to manufacture its own toxins that kill pests. The BT gene originated from a soil bacteria that also infiltrates the microflora (friendly digestive bacteria) in your gut. The Bt gene converts the microflora in your intestine into toxin-manufacturing machines. So, to be clear, eating GMO corn products can cause your gut (which is primarily responsible for keeping you healthy) to turn into a breeding ground for tiny little pesticide factories inside your body, actively creating toxins which are designed to kill living things. These toxins are found in the blood and are readily transferred across the placenta to developing babies in the womb.